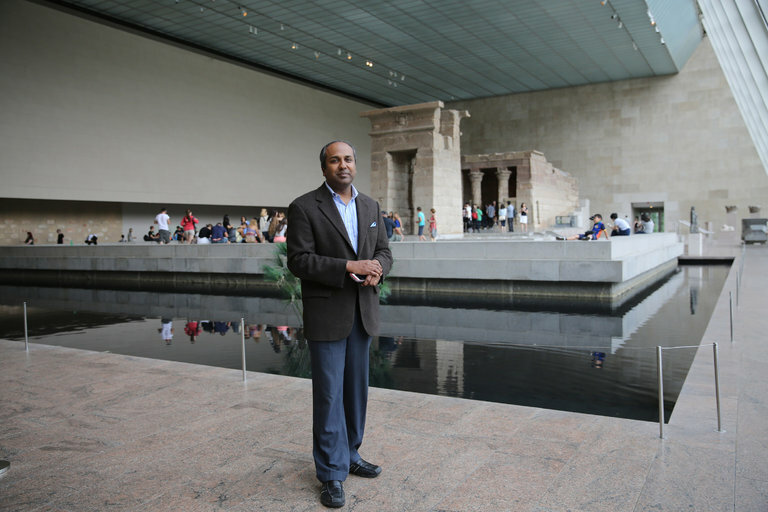 Sree Sreenivasan '93JRN, stepped down from his post as chief digital officer at The Metropolitan Museum of Art on June 17, amid the museum's efforts to scale back costs due to a $10 million deficit. Sreenivasan has worked at the Met for three years and led the Met’s recent website redesign and the development of a smartphone app, The New York Times reported. According to the Times, he will stay on temporarily as a consultant. Some may vent, others may feel like hiding—what Sreenivasan did, though, made news. Read on for some highlights from Quartz of what the former Columbia Journalism School professor and Columbia chief digital officer did exactly right. In doing so, Quartz explains, Sreenivasan took control of the story. "Don’t worry about trolls," he told the website. "Amplify your fans." Although he has critics, Sreenivasan received more than 300 responses to his announcement of the news in a candid post on Facebook. He said the warm feedback was like "a giant digital hug." "It just tells you how nice people are, and how much they want to help you," he said. The same day the Met sent a company-wide memo about Sreenivasan, he posted the note on Facebook, and had already shared the news with his team and family, Quartz reported. "Everything I’ve gotten has come from being completely open and sharing everything I know," he told Quartz. "So then I said, 'Let me be open and free. See what happens. Let the universe help.'" "If you hear of things I should think about, LMK," Sreenivasan wrote in his Facebook post. "If you want to invite me to anything, I now have time, including for meaningful cups of coffee and drinks. I'd also love to go walking with anyone available. I try to walk 5 miles a day, I plan to make it 8-10 miles this summer. I made this little form you can use to tell me what to do next..."
The Columbia alumnus told Quartz he's meeting "everybody." "There's no shame in taking tons of meetings—especially when one's calendar is suddenly open," Quartz advises. "You never know which one might lead somewhere." Read all of Sreenivasan's advice on QZ.com. Follow Sreenivisan on Twitter and Facebook.